Size: 6/12 Months, Color: Brown is currently out of stock! How about choosing a cuddly and cute feline costume for upcoming costume party? You enjoyed Jungle safari many times, now let this big fat enjoy your world for a while. Lion is a symbol of courage and supreme leadership. 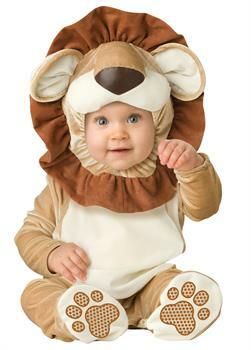 If you are looking for a classic and gorgrous costume than choose Lovable Lion Infant / Toddler costume.